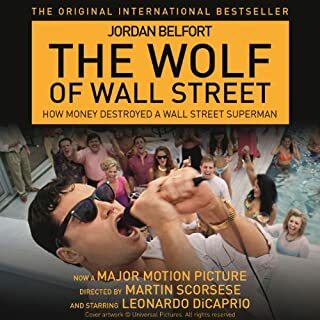 What made the experience of listening to The Wolf of Wall Street the most enjoyable? Jordan was my fav charachter, as well I suppose the book is all about him and his life, so it's him that you understand and relate to the most throughout. What does Eric Meyers bring to the story that you wouldn’t experience if you had only read the book? I think it's the way he reads the dialogue, It just makes the whole experience much more real, much meatier.. Yes I laughed a few times throughout the book, A few gasps of I can't believe that came out too. I've not watched the film of this book, so can not comment on that, but I personally seriously feel the read of this book is needed.